Cinema Italian Style is the Los Angeles showcase for the best Italian movies of the year. 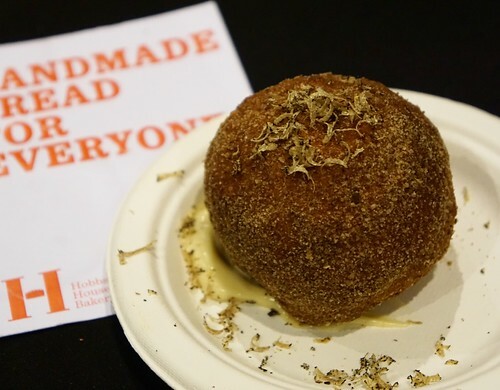 In an 11-day marathon full of events, attendees will be immersed in the Italian culture in the way of film, food and culture. The event kicked off with a US premier of the 4k digitally restored version of Blow Up and Red Desert by Michelangelo Antonioni. 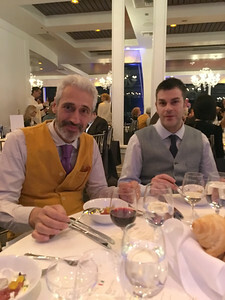 Part of the activities included a Gala Dinner celebrating the Italian showcase and was held at Mr. C Beverly Hills hotel. Held in the hotel’s Penthouse, we benefitted from having a panoramic view of the city. The place was buzzing as people were excited for what was to come. 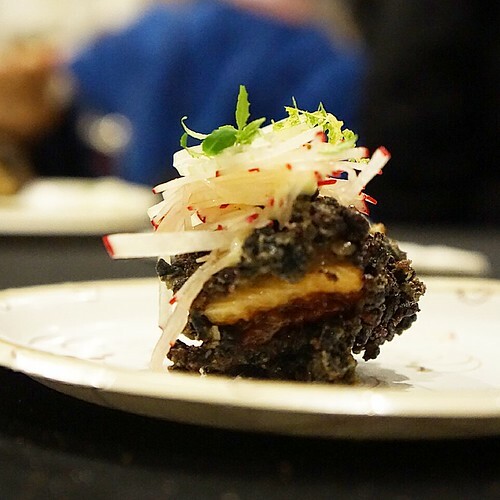 The people at our table were ecstatic to find out that guest chef Leandro Luppi, a Michelin starred chef from Ristorante Vecchia Malcesine in Verona, was at our table. This was his first trip to the US and he was here to help promote Cinema Italian Style. While he didn’t speak much English, he smiled often and was quite friendly. Two individuals at our table aided in the translation between English and Italian. 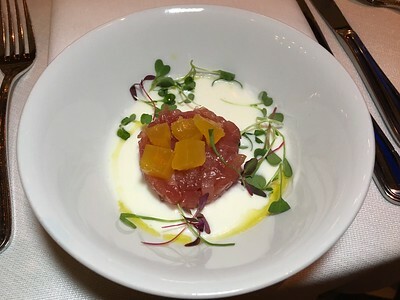 The first course was a tuna tartare surrounded by a base of creamy smoked mozzarella and topped with passion fruit. 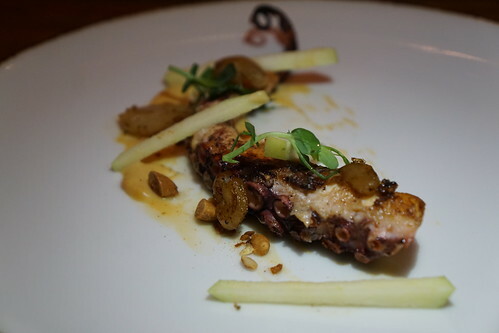 The dish was delicious and had an interesting combination of flavors. 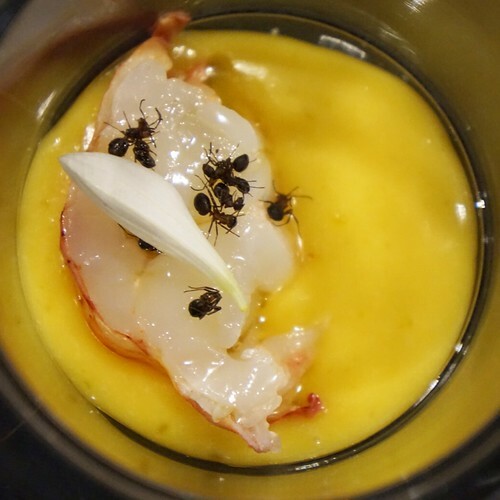 The acidity from the passion fruit paired nicely with Mr C’s Prosecco. 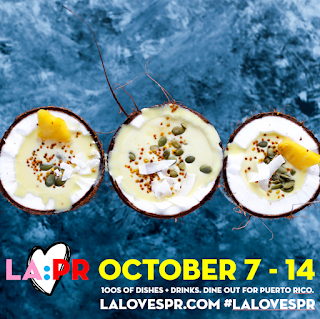 I enjoy food that has been prepared with a marinade or with sauces that have complex flavor profiles. That said, Indian food has always been on my radar, but not a frequent dining destination, so I was delighted to try the Bombay Palace in Beverly Hills. A Beverly Hills mainstay, Bombay Palace has been serving Indian food in a more stylish setting than the usual Indian restaurants since 1985. Complimentary papadum is served to all of their diners. This is a thin, crispy chip that obtains its taste from whole cumin seed. 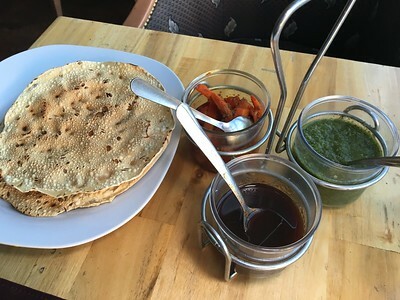 Three dipping sauces (tamarind, mint chutney and spiced carrots), elevates the papadum greatly. 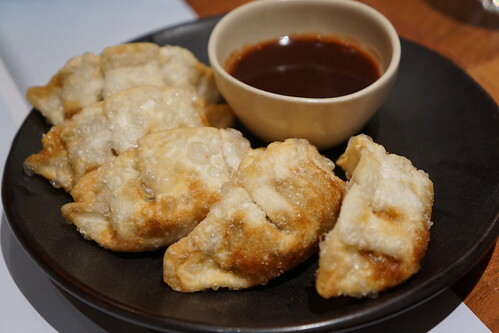 It is also an opportunity to taste the dipping sauces before you apply them to other dishes. 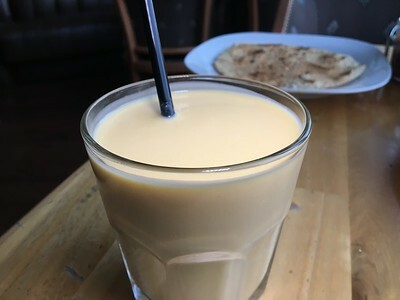 Since the mint chutney had a nice kick, I selected a beverage to balance it - a mango lassi. The vegetable samosa was my starter. 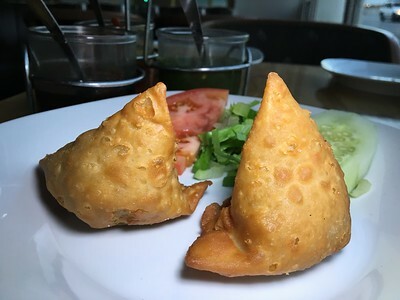 The exterior of the samosa was light and not greasy because it wasn’t deep fried. The filling consisted of diced seasoned potatoes and peas. I topped these with tamarind and mint chutney sauces to give them some added seasoning and flavor. 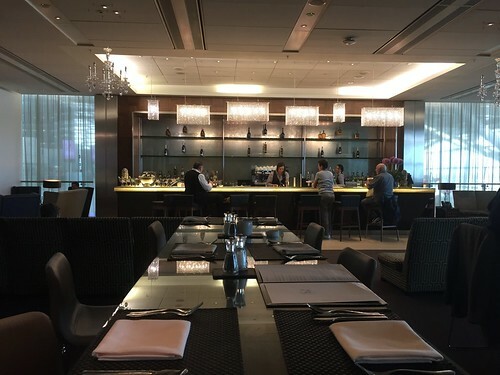 On a 13-hour layover in London Heathrow Airport recently, I had the fortune to experience the Concorde Room, British Airways' first class lounge. No, I was not flying first class (coach, totally) but I knew someone who was flying first class and got me in as a guest. 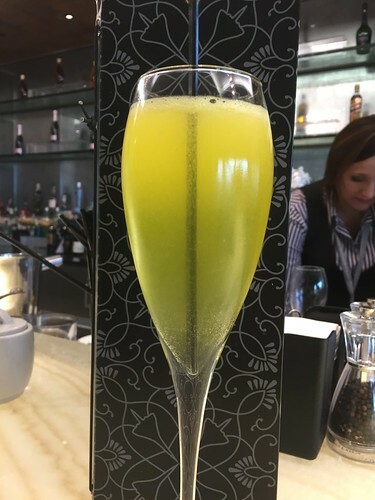 British Airways has three separate lounges in Heathrow airport and the Concorde Room is open only to first-class flyers or Gold members of British Airways Executive Club or Emerald oneworld member flying on BA or partner airlines. Thanks to that, the Concorde Room is quiet and fairly empty. 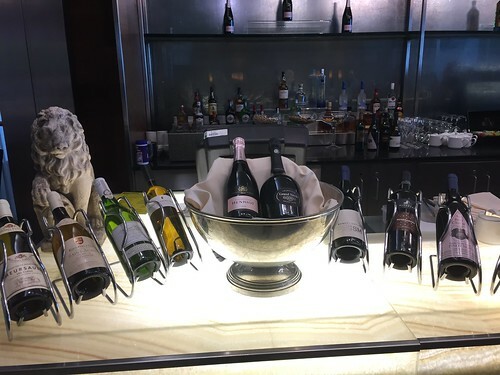 The wine selection is better, of course. Even the cocktail menu was unexpected. I was expecting the regular highballs but they actually had unique craft cocktails on the menu here. 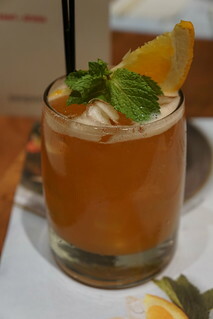 I had the Fusion Fizz, a combination of Tanqueray TEN, jasmine tea syrup, lemon sherbert, and tonic. 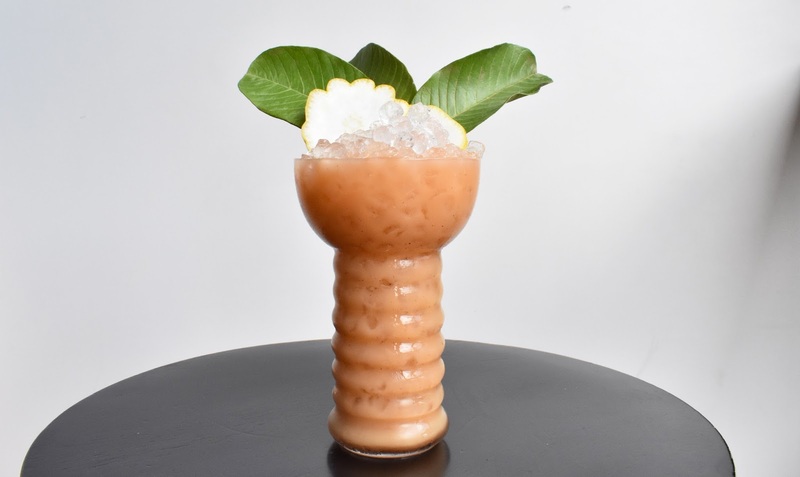 It was created by bartender Richard Tring, one of Bristol's best. There's no food buffet at this lounge. 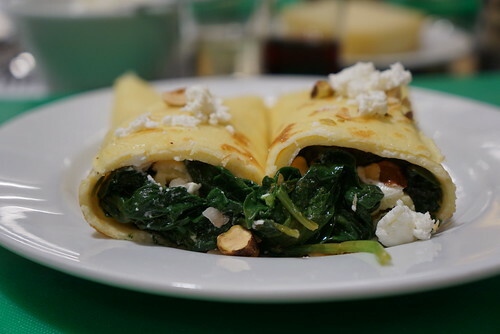 Instead, guests sit down for a three-course menu. With wine, naturally. Doughnuts. We can't get enough of them. 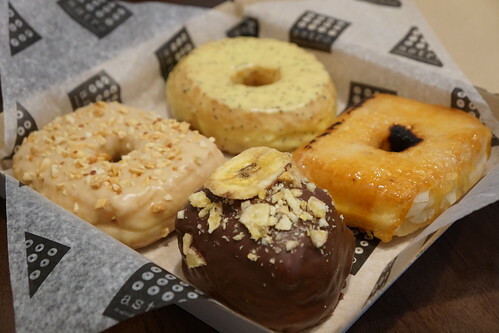 The popular DC-based Astro Doughnuts & Fried Chicken is now open in downtown LA. It's been named one of the best donut shops in America, so of course I had to try them! And I tried quite a few of them ..
Astro's has a selection of three hot cake doughnuts that will be made fresh to order, and you don't want to miss these. 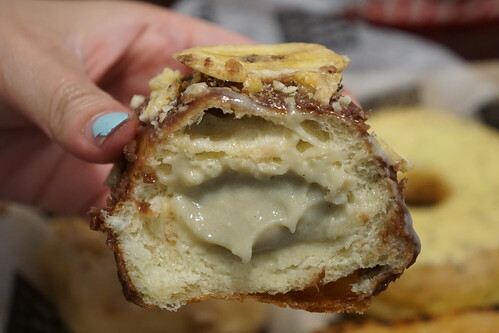 I got the Nutella hot cake doughnut (but it was a tough choice between this and maple bacon). 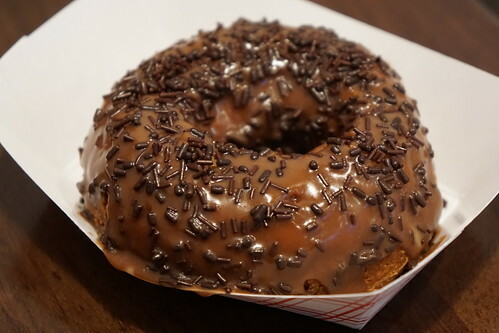 You have to get one of these made-to-order donuts if you have time to eat in the store! Warm donut with melted Nutella. So good! I'm normally a fan of yeast donuts more than cake donuts, but this was an exceptionally good cake donut. Last year, Geoffrey Zakarian took over the restaurant space at Montage Hotel in Beverly Hills, now known as Georgie. 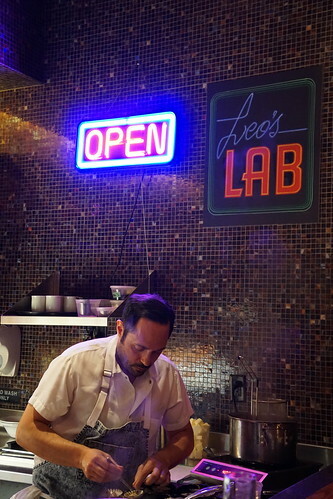 The chef restaurateur hired Wilfrid Hocquet as Executive Chef. 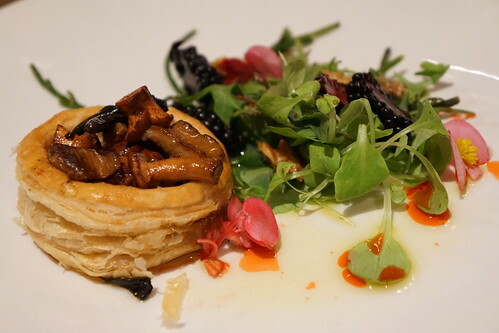 Chef Hocquet has worked for French restaurants like Le Louis XV by Alain Ducasse, then at Daniel in New York City. 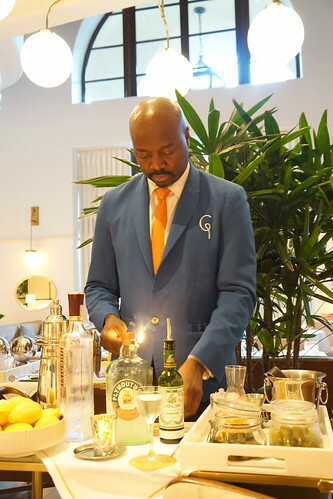 Being the classy establishment that this Beverly Hills restaurant is, Georgie has tableside martinis, which you should definitely consider if you like martinis. I had to get mine with the flamed lemon peel. 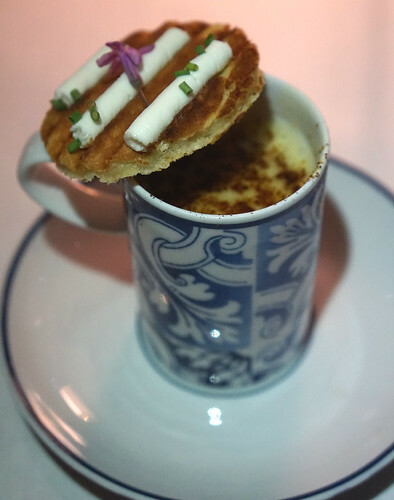 Since it was my first visit, I got the tasting menu to get a good feel for the whole menu. 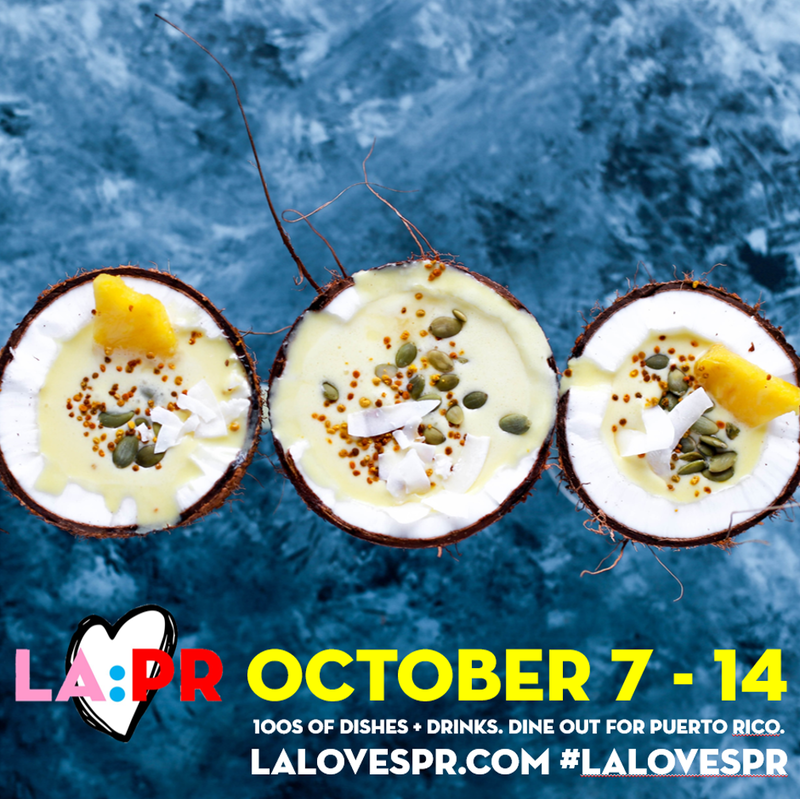 The tasting menu is $85 per person for six courses plus amuse bouche. 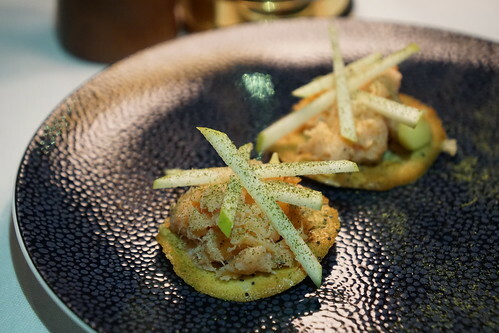 The amuse bouche was a smoked salmon tostada that night. There are two levels of wine pairings. 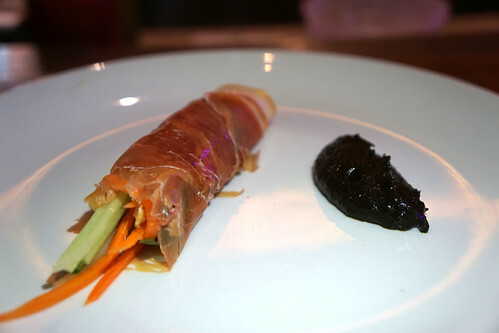 The classic wine pairing is $55 while the reserve wine pairing is $75. 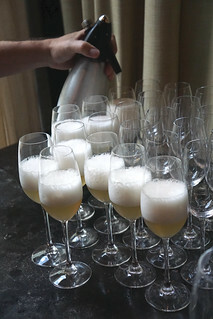 We started off with a glass of Fantinel prosecco. 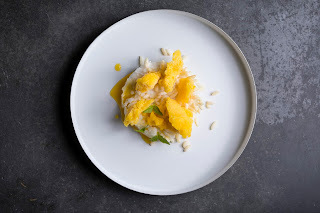 I did say I wanted to eat all the sweet corn while it's still in season, and this was one of the best corn dishes I had this summer. Wagamama is a chain of restaurants serving Asian food - primarily Japanese - which started in UK. I wasn't familiar until I moved to Boston 3 years ago, and I actually only tried it for the first time recently. 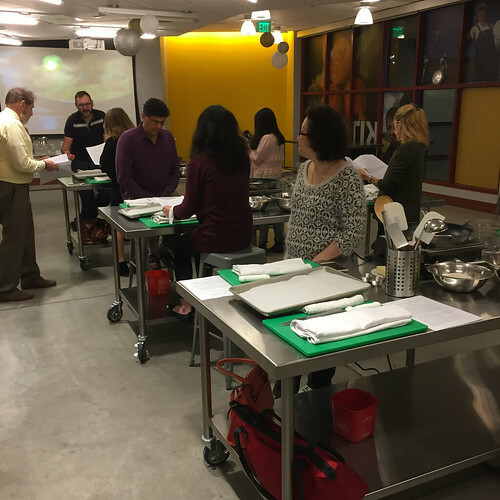 Wagamama had opened a new location in the Boston Seaport district and invited some bloggers and instagrammers to try them out. 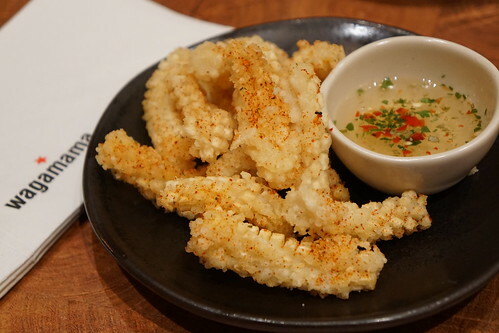 For calamari lovers, this squid dish is a great variation. It's crispy but tasted light and spiced just right. 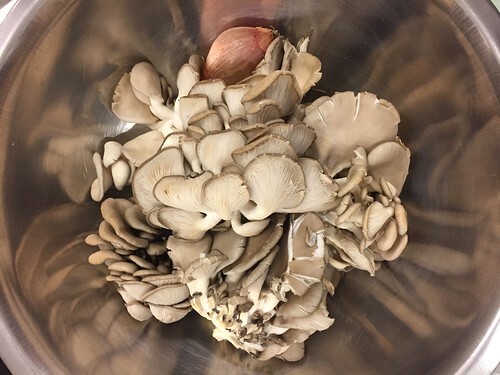 I couldn't start eating them. The drinks at Wagamama are better than I would've expected from a chain restaurant. While a lot of them tended on the sweet and fruity side, they're not overly sweet and fairly well balanced. What I like most is the fact that they use spirits from Asia as much as possible. 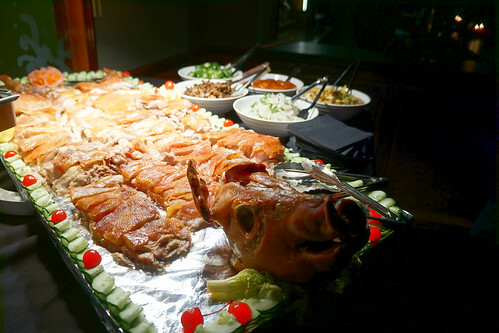 Did you know that Ono Hawaiian BBQ celebrates their 15th anniversary this year? When you go to an Ono Hawaiian BBQ on the anniversary day (Tuesday, October 17), you can get $15 Ono Bucks after spending $15 on food and drinks. They're also giving away a free tote bag with $15 purchase while supplies last. I remember going to Ono quite a bit during my time as a UCLA undergraduate, and I recently paid them a visit when I was in LA, because it's hard to find spam musubi in Boston! 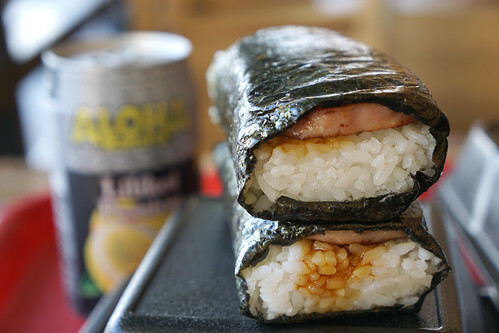 Just two of these would probably make me full already, but how can I say no to spam musubi? Such a perfect snack. Lansdowne Pub in Fenway started Irish Brunch Banger on September 17, which was Halway to St. Patrick's Day. I didn't know that was a thing, but why not - any excuse to drink Jameson and Guinness. Lansdowne Pub is an Irish pub just steps away from Fenway stadium that offers live music and open mic nights. As a bar, live music spot, and a place to go before and after a Red Sox game, Lansdowne is quite popular, but this is the first time I'm checking out the food, which was surprisingly good. 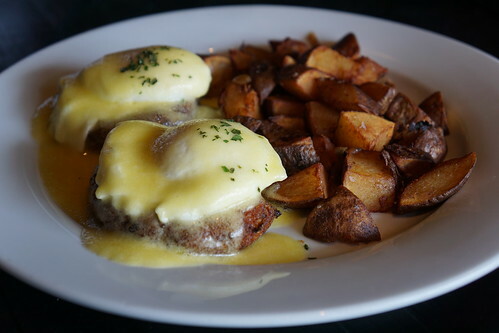 We had a number of classic brunch dishes like the Sausage & Eggs. The grilled housemade chicken and maple sausage had a nice flavor and a touch of sweetness - I was a fan. 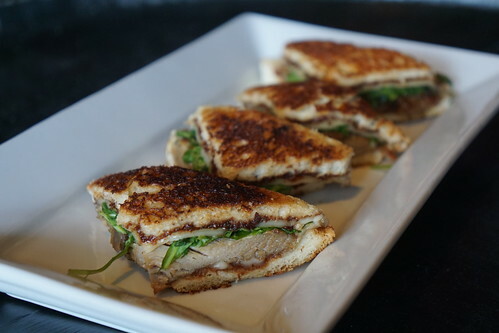 There were also some atypical items on the regular menu, like the Duck confit grilled cheese. This was a hit at the table, with tender duck confit on grilled bread. The duck is the star rather than the cheese, though. Usually I'm more of a waffle or french toast girl, and I was never a huge fan of apples either, but I couldn't s top eating this apple crumble pancakes! 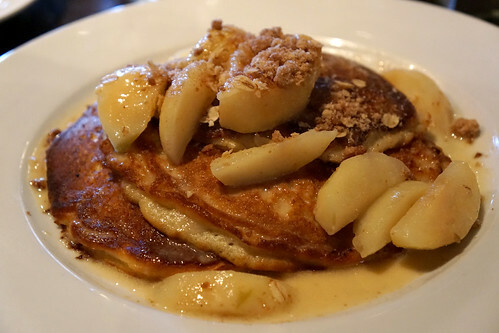 The pancakes themselves were nice and fluffy, and I loved the combination with the cinnamon streusel and the soft, slightly caramelized apples. 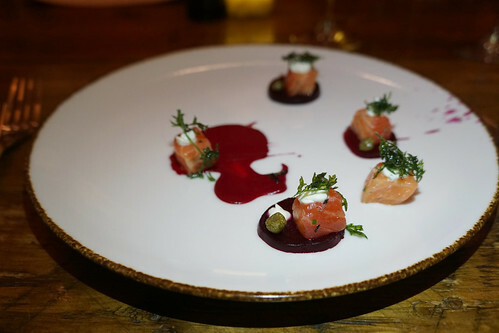 Earls Kitchen + Bar is a Canadian-based restaurant chain that has made its way to a number of US cities. 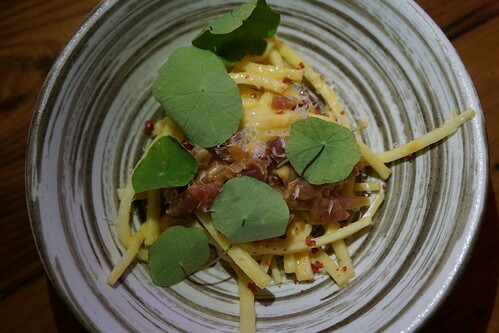 I haven't had the chance to check any of them out before, but I was recently invited to the opening party of the new location at The Prudential Location. 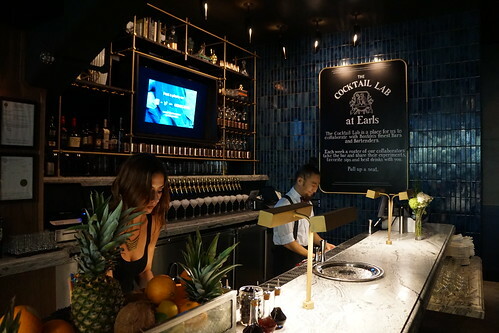 What I was surprised to see, and one of the coolest part of Earls at The Pru is the Cocktail Lab downstairs, where they will feature guest bartenders from all around the city. 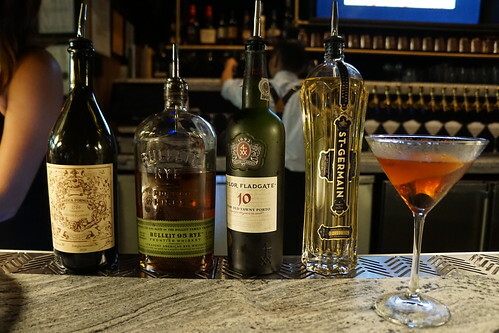 The Goddess Manhattan, created by one of the restaurant's regular bartenders, was one of the bloggers' favorites of the night. Other rotating bartenders who was also behind the bar that night were Will Isaza and Melinda Johnson-Maddox. 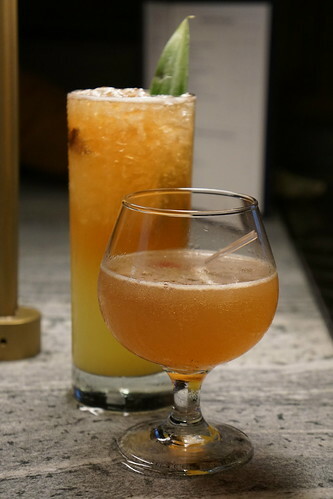 I'm definitely excited about coming back to check out the Cocktail Lab and see who's behind the bar! 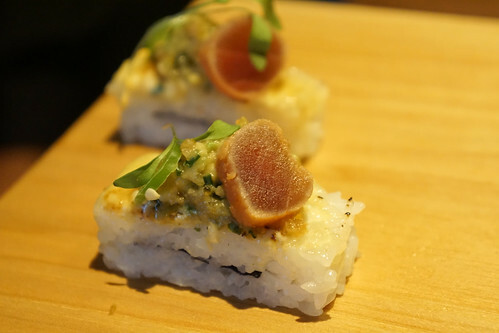 The tuna was served aburi-style, a.k.a. seared. Grafton Group, which has a good hold on Harvard Square with restaurants like Russell House Tavern and Grafton Street, opened another spot last year. 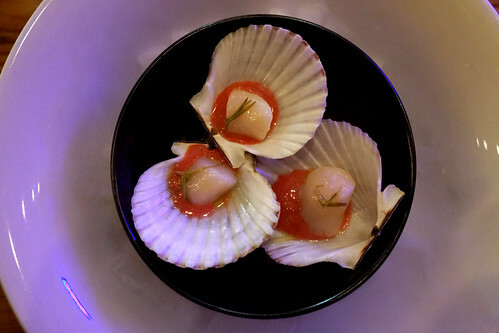 The Hourly is a seafood-focused restaurant. It was named after the horse-drawn carriages that used to transport people from Cambridge to Boston on the hour back in the day - in 1826. 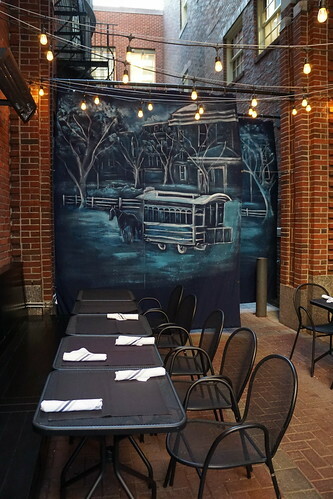 The cozy patio features a painting that shows one of the "hourly'. 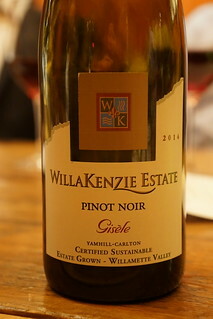 I recently attended a blogger tasting at The Hourly and tried some of their most popular offerings. 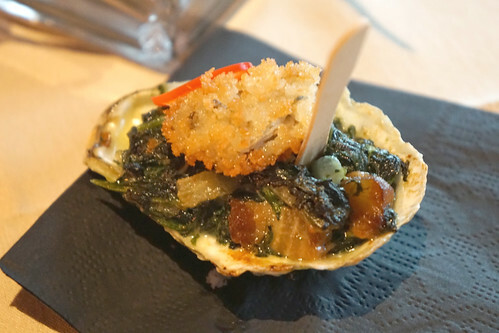 We started with some raw East Coast oysters served with fennel mignonette. 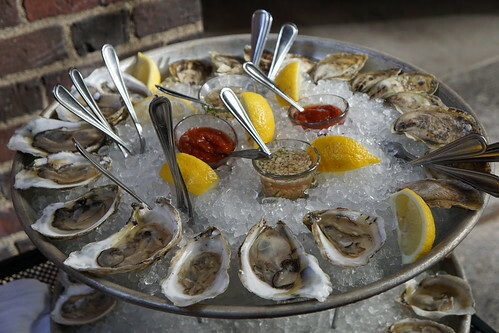 Among the oysters we tried were from Cuttyhunk - an island off of Martha's Vineyard, Island Creek oysters from Duxbury, Mookie Blues from Maine, and Warren's Cove from Plymouth, MA. 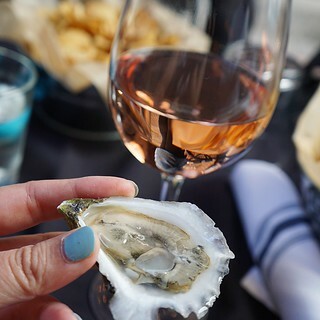 The oysters were paired with some Tuck Bekstoffer Hogwash Rose of Grenache from Napa. This was just one of the fun wines that they offer at The Hourly. 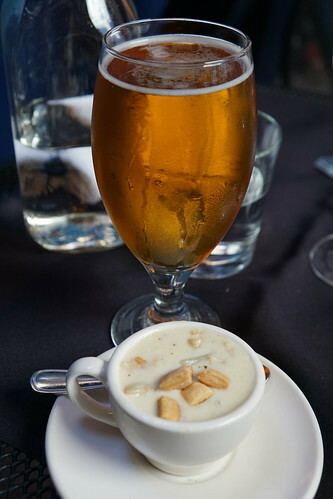 We had a small cup of the chowder to taste, but of course, the regular order is a full bowl. The Hourly also makes their own saltine crackers for the chowder, which was filled with chunks of clams. The beer is quite a unique one. It is a ginned pilsner made using juniper berries and it was aged in used tequila barrel. They paired this with the chowder because tequila works well with seafood.